Visual inspections free to assess new / used cars. Written reports / repair quotes / detailed photographic report on request. Want to assess the condition of your car! Just email clear pics of vehicle with brief note of requirements. Photos taken in direct sunlight are best to assess swirl marks/spider webbing. 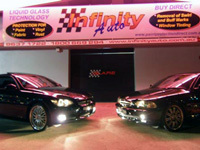 Photos taken under fluorosent lights are best to asses damaged/scratched/defective paintwork. If you just want a second opinion on work already done, same applies with photos.